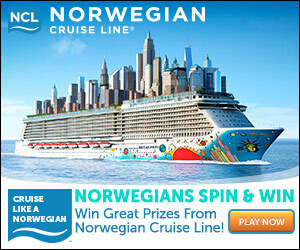 Home / Freebies / New Sweepstakes: Spin to Win a FREE Norwegian Cruise! There is a new Spin to Win Sweepstakes from Norwegian Cruise Line, Right now you can spin for a chance to win a FREE Norwegian Cruise or get some other great prizes each day! To enter you just have to Enter your Email Address, then Complete the registration form on the second page! The link says the event has ended…. PAAS Coupons | FREE Easter Egg Decorating Kits!